Discussion in 'Subaru Levorg News & Announcements' started by VashX, Feb 16, 2016. For Subaristas, the Levorg needs no introduction. Fans of the marque have been begging Subaru of America (SOA) to bring it over here from the moment it was first introduced. First introduced in Japan a year or so ago, and now making its way across the globe, it is one delicious wagon that SOA refuses to let Americans taste. Why? Wagons don't sell in America, so they say (some Euro-brands might disagree with that). Plus they seem to think they have the wagon market pretty well covered with the Outback, Forester, and to a lesser degree, the Crosstrek. Unlike here in America, at least in recent years, a Legacy wagon continued to exist in other markets. At some point Subaru decided to also delete it from their global portfolio, and to replace it with the smaller, sportier and well-equipped Levorg. The thinking was that the Levorg would be more distinct from the Outback than a Legacy wagon, and would be less likely to step on the Outback's toes in terms of searching for customers; makes sense. Another point needs to be made: Subaru is selling at record levels. They just can't make them fast enough as they are constrained by lack of production capacity. That will improve soon as the next-gen Impreza will be built in their Indiana plant this fall once the Toyota Camry production moves out. So, at the moment, they don't need the Levorg to improve sales. Down the road that may be a different situation, but for now adding another model line would be tough and of little benefit. When Subaru introduced the current generation WRX they deleted the hatchback — which accounted for 50 percent of WRX sales. Needless to say WRX 5-door owners were outraged — and continue to be so. The Levorg wagon could be the perfect answer for these folks, as shares many parts with the WRX. In Japan it's available with a new 1.6L direct-injection turbo as well as the same 2.0L direct-injection turbo found in the WRX. Other markets, to date, only get the 1.6L engine. All Levorgs have CVTs, with the 2.0 versions getting the high-torque CVT found in the WRX CVT. The chassis setup, while a tad softer, is very close to that of the WRX. So it is definitely a car that's cut out for canyon-carving. It's also more upscale than the WRX, with an interior more akin to luxurious trim levels of the Legacy and Outback. In its defense Subaru has claimed that the budget did not allow for developing both the Levorg and a 5-door WRX. Fair enough, as these plans were established well before the enormous sales explosion that the brand has recently enjoyed. There's another point to be made here that Subaru has not discussed: The WRX is no longer a subset of the Impreza lineup; it's now a model line unto its own, just like the Legacy, Forester, et al. As such I think Subaru felt a somewhat upscale WRX 5-door would — from a marketing standpoint — be closely associated with the more downscale Impreza 5-door, and thereby making the differentiation between the newly established WRX model line and the Impreza more difficult. That argument has merit. 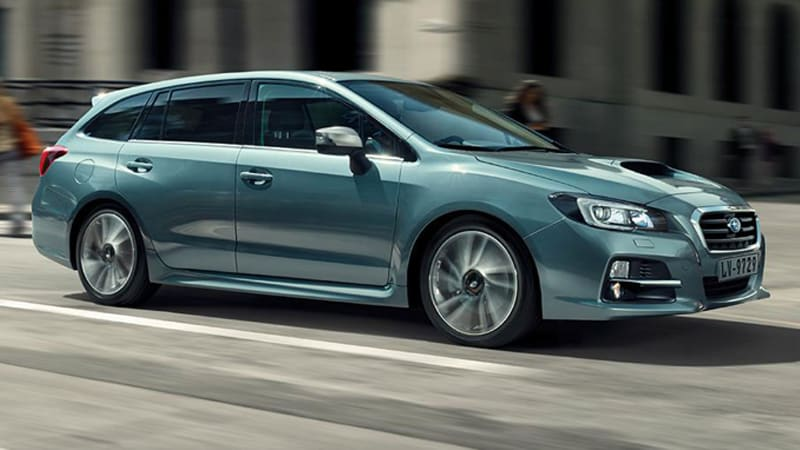 The Levorg, especially with the 2.0L turbo, solves that marketing confusion issue. It would not be mistaken for an Impreza derivative. Like the WRX, it would command a premium price, and would surely attract WRX customers that miss their beloved 5-door. I agree that America doesn't buy conventional wagons — but I believe they will buy a specifically targetedsporty wagon, and one that has a premium image. The Levorg could easily be re-badged as a WRX GT Touring. Besides, the name "Levorg" is terrible. It's all about marketing and how the vehicle is positioned. I see this as a win-win for both Subaru and their customers. Make it happen Subaru.